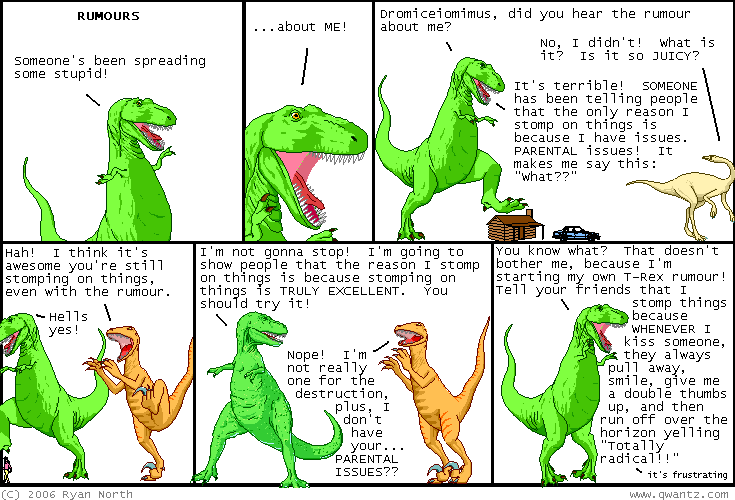 Dinosaur Comics - November 29th, 2006 - awesome fun times! –It's about a tiny chef who makes food for everyone! November 29th, 2006: Killroy and Tina is going on a break / stopping when the current chapter is over! This is bad news for people who like good comics with superheros on the internet. You should check it out now and hey also there's Justin's other project, The Non-Adventures of Wonderella!